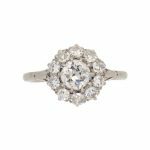 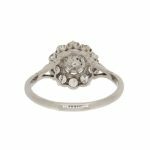 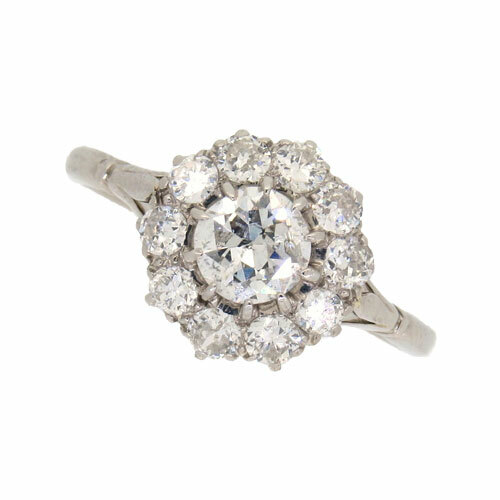 A beautiful Edwardian Diamond Daisy cluster ring comprising a central old brilliant cut diamond surrounded by ten old brilliant cut diamonds. 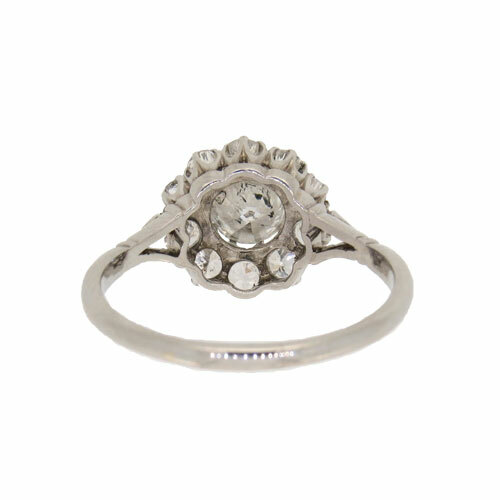 Claw setting in beautiful condition with original platinum shank. 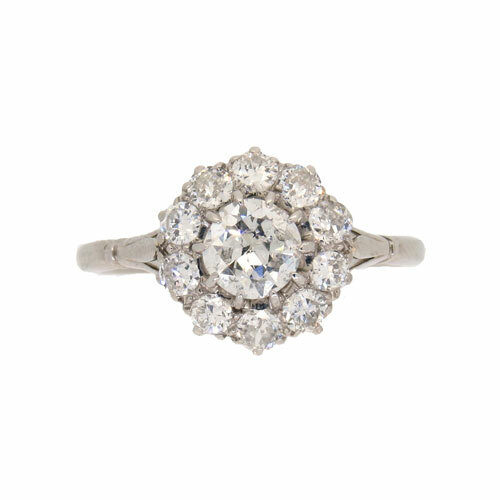 Centre diamond weighs approx 0.58 carats.